When I posted some of yesterday’s comments on The Manxman in an online discussion group, Hitchcock author Ken Mogg responded by saying that the "lighthouse beam is a warning to be vigilant, not an insurance." Thus it hits the same underlying message of Hitch's 1943 Shadow of a Doubt, where detective Jack Graham (MacDonald Carey) says, "sometimes [the world] needs a lot of watching. It seems to go crazy every now and then." Ken also recalled that "the image works in conjunction with the shot behind the film's credits, of waves beating against rocks. There's a force bearing down which, sooner or later, will claim victims." And so it goes. 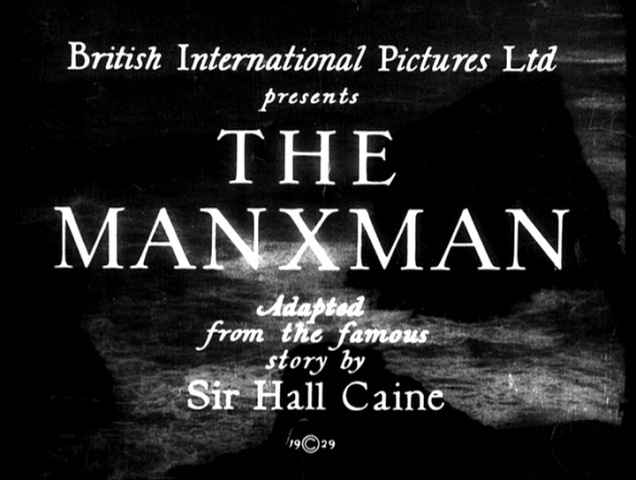 In The Manxman, the lighthouse's oscillating lightness and darkness makes possible both safe passage and shipwreck, and the sea is a source of both sustenance and annihilation. One of movie's subplots involves foreign fishing trawlers whose presence threaten the livelihoods of the inhabitants of the Isle of man. Along with the sea’s relentlessly crashing waves, they are aspects of the same inexorable, threatening, potentially destructive force. The guileless fisherman, Pete Quilliam (Carl Brisson), got the picture -- but too late. How ironic, then, that guileless Pete (Carl Brisson) is intimately connected with all that! In his intensity and ebullience, Pete is himself the embodiment of a blind force of nature. And in a further irony, his character is rooted in St. Peter the Fisherman, whose guileless ebullience got him into trouble at times. 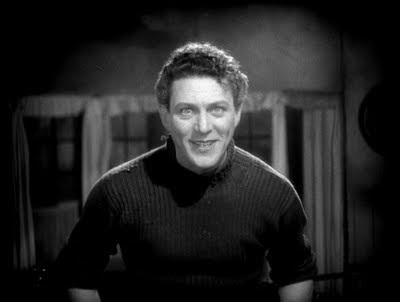 His contribution to the story's predicament is that he acted like a force of nature in pushing Kate (Anny Ondra) to make a choice, pressing his best friend Phil (Malcolm Keen) into serving as his accomplice. As a lawyer, Phil was a vigilant and successful bulwark against the encroachment of those outside fishing fleets. As effective as he was, however, he was still only human. And when his humanity got the best of him and he sinned (in the town's eyes), the tide of public opinion (pun intended) turned against him. He was run out of town -- and those citizens lost a vigorous advocate for their way of life. It seems that all the plots and subplots in this film have an unhappy ending. The lesson -- if there is one -- is that, if you're going to be noble, do so with your eyes open; and if you're going to be a rat, do so with your eyes open. On a side note, Wikipedia says this about the Isle of Man: "Agriculture and fishing, once the mainstays of the economy, now make declining contributions to the Island's Gross Domestic Product." The article doesn't go into detail on the history of these "declining contributions," but it does suggest to me the possibility that Hitch, as usual, could have been drawing on current events and socio-political and economic realities to make his film more real or of immediate concern.